Russian Superbike Championship got its unexpected continuation since Makar Yurchenko, FIM Junior Moto3 rider from Kazakhstan, has announced his participation in Supersport class. Literally a hot weekend brought Makar Yurchenko a first place on podium, and… a totally burned bike on the second race. Having made a good start at the race 1 Makar Yurchenko made a path to his leadership, battling with his main rival Alexey Ivanov. First victory was obvious for Yurchenko since Ivanov couldn´t follow his pace. 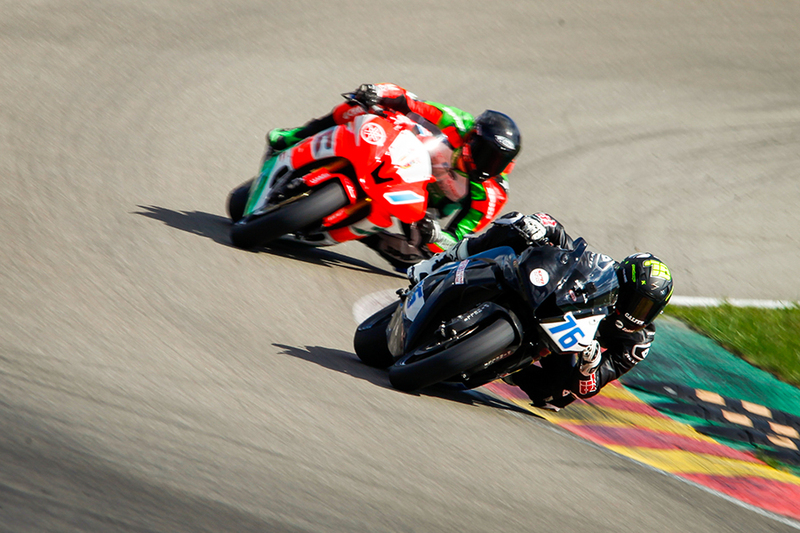 During second race hot fight turned into a severe battle between both riders with constant overtaking. Leading the race, Yurchenko has lost his position on the first corner exit, lap 12th, but recuperated fast and came back to his first position, when Yurchenko bike burst into flames. Makar had to stop immediately bike and leave it in the gravel. The race was stopped with red flag. Makar Yurchenko competes in Russian Superbike Championship in 2 stages as an invited pilot for SPB Racing Team (Saint Petersburg). Next stage of FIM Junior Moto3 Championship will take part at Circuito de Jerez (Spain), 17th of September. Live broadcasting will be available at Youtube, FIM CEV Repsol Channel. FIM Junior Moto3: First world podium for Makar Yurchenko in Albacete!